With this winter we’re having, Angel Taveras picked the right time to return to the private sector. It wasn’t entirely by choice: The former mayor of Providence ran for governor in Rhode Island last year and lost the Democratic primary to eventual winner Gina Raimondo, then the state’s treasurer. 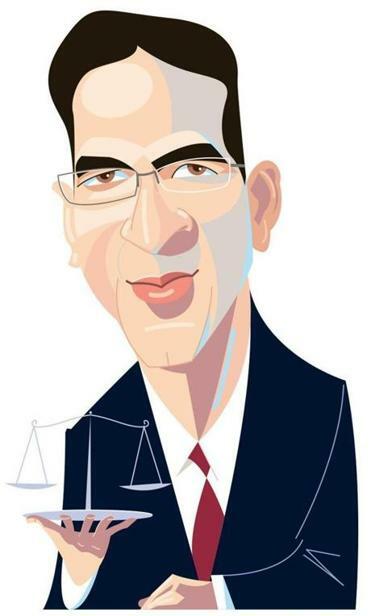 Now Taveras is settling into his new gig at law firm Greenberg Traurig’s Boston office. The attorney started last week, less than two months after leaving Providence City Hall. Taveras said he considered a number of opportunities — some at big law firms, some at small ones — before picking Greenberg Traurig because of its global reach, with 37 offices around the world. He wants to focus on municipal restructuring and public finance and hopes to eventually build a nationwide client base. This will be his first regular commute out of Rhode Island since the summer after he graduated from Georgetown’s law school and worked at Brown Rudnick’s Boston office in 1996. He worked for Brown Rudnick until December 2004, mostly out of its Providence office, before running his own firm until he became mayor in 2011. He also had a part-time position as a housing court judge from mid-2007 through early 2010. Leaving the mayor’s office, he said, has taken some adjusting. But Taveras said there are certain aspects of his old job that he doesn’t miss. “Given the weather this winter, I haven’t really missed the mayor’s office much,” Taveras said. of Rhode Island . . .
Dunkin’ Donuts has finally released its version of a bacon doughnut. But there are two slight problems: Dunkin’ is years late to the bacon doughnut (and really bacon everything) trend, and you have to drive all the way to Providence for a taste. On Monday, the Canton-based chain began testing two iterations of a bacon doughnut, a big seller at specialty shops around the country. The test program will take place only in Providence for now. Dunkin’s recipe is oddly low-tech. They literally take two long strips of hot bacon, the same bacon in your breakfast sandwich, press them on top of a rectangular glazed or maple-frosted yeast doughnut, and voila! You have 380- and 400-calorie donuts, priced at $1.99 and $2.49. Dunkin’ admits its bacon doughnut game is behind. Voodoo Doughnut in Portland, Ore., claims to have invented a bacon maple bar back in 2003. And Kane’s Donuts , the Saugus doughnut institution, introduced one about two years ago. But all good things take time, and Dunkin’ had to create a recipe that worked for 8,000 restaurants, while the smaller guys are only working with a few shops, argues Chris Fuqua, the chain’s vice president of marketing. Forget the communal desk with the beer keg and Xbox nearby. Co-working in Boston is about to get a touch of class. Sisters Bettina Janco and Roxana Chiu plan to open a shared workspace in a Back Bay penthouse this summer, with monthly rents starting at $3,500 — 10 times the base rate at a place like Workbar or the Cambridge Innovation Center. Entrepreneurs with finer tastes and bigger budgets will get handsomely appointed private offices with outdoor terraces, underground parking, and a receptionist. A penthouse office is the newest offering from SnapSuites, the posh co-working company Janco and Chiu cofounded in 2012. Their idea was to take the best features of Boston’s many shared workspaces — communal kitchens, lounges and conference rooms, networking and socializing — and dress them up for well-funded companies. “We’re really targeting high- net-worth executives and high-end brands,” Janco said. When Justin Krebs left his job running Normandy Real Estate Partners’ New England operations in December, it wasn’t clear what his next act would be. Now we know. Krebs has joined Steve Belkin’sTrans National Properties as executive vice president, with a goal of reviving Belkin’s plans to build a super tower on Federal Street, in the heart of the Boston’s financial district. Before the Great Recession, Belkin had been chasing a dream of then-mayor Thomas M. Menino to put a 1,000-foot tower up where the city’s now-shuttered Winthrop Square Garage stands. Belkin scaled back that vision last year. But his 740-foot tower, if built, would still be the third-largest skyscraper in the city, after the Pru and the Hancock. The project would also involve the site of Belkin’s existing Trans National building, next door to the garage at 133 Federal. Krebs and Belkin had been chatting for a while, but those talks were thrown into overdrive when the Boston Redevelopment Authority sought new bids for the Winthrop Square redevelopment last month, Krebs said. He said he’s confident Belkin’s Trans National Tower plan will be picked, in part because Belkin’s property next door allows him to propose a more extensive development than what other bidders could offer. We’re talking about 1.2 million square feet and 55 stories — including 300 or so hotel rooms, nearly 700,000 square feet of office space, and 300 to 350 residential units.